We received a Kickstarter reward in the mail, the debut CD from Avidya and the Kleshas. Kickstarter is a website that crowd sources funding. What Wikipedia did for encyclopedic knowledge, websites like Kickstarter did for funding arts project. It allows people to make small contributions (monetary) to combine to create a larger good (an artistic project). An artist lists a project they need to fund. They set a budget to achieve that goal. They offer rewards for various levels of participation. If the fundraising goal is reached by a deadline, everyone’s credit card is debited. If the goal is not reached, then no one is charged. Stephanie Carlin is the 20-something songstress/songwriter behind Avidya and the Kleshas (AATK). She looked to raise $5,000 with rewards ranging from a digital copy of the album at $10 to being listed as an associate producer and having a house concert at $2000. I admit to not being entirely comfortable with the Gen Y ethos of reducing material possessions by choosing digital media over a hard copy. When I was offered to review Share or Die! from the essays shared for free on their site, I opted for the actual book because I needed to understand it as a whole. Similarly, with the new music CD, I — along with 20 other funders — opted to take the higher level on Kickstarter so I could receive a “signed, advanced copy of the album shipped to your home PLUS a hand-written thank you note PLUS a shout out at the CD release party”. The funder is not just buying a good; they are joining a creative support team. A Sangha. A beloved community. Using the crowdfunding site, the artist often sends out emails with little tidbits about the project. Often the update email leads to internet media that the funder-supporters (hopefully) share with their networks to gain the artist a larger following. There are two small slips of paper with a “secret code” to allow a friend a one-time download the album for free. Returning to the idea of turning funders into evangelists. The first person on this post to ask gets a free download. I already texted the other one to a friend. The second larger beautifully designed card in various shade of purple and lavender giving free admission to the CD release party and live video taping. So, the use of the crowd funding campaign to support art describes to me the world Share or Die! describes, and now let’s turn to the contents of the Share or Die! book itself. If I was to do it again, I would read the book backwards. I would read it from the last essay to the first. The beginning of the book is weighted toward stories of the situation of its Gen Y essayists’ difficulty in finding meaningful work in a bad economy. This difficulty is compounded by the staggering amount of student debt necessary to complete college today. The overlay of the Great Recession and staggering debt are a new factor that Gen Y has to deal with, but the lack of meaningful work is not new. Jokes about PhD’s driving taxis are generations old. The essays roughly progress from the personal, to the technology of sharing in order to meet Maslow’s Hierarchy of needs (food, housing, and education). Share or Die! is filled with essays that provide straight-forward information, how-to guides, and original insights that make the book worth the read. I found affirmation in the book’s first essay, Things as Which I’ve Been Asked to Dress: Life in the Nonprofit Industrial Complex. It appealed to my curmudgeonly view of nonprofits in general, and the nonprofit it seems to profile in particular. This essay is one of the most entertaining of the book. It combines the books love of graphics with text criticizing the demeaning outfits the author was required to wear to make the point of her non-profit employer at various protests. The graphics in the book are particularly poignant, such as the cartoon above and the cartoon re-published in our earlier post announcing the book had arrived. The surprisingly unacceptable working conditions of nonprofit work is echoed in the later essay, Organizing The Precariat. The latter essay details the failed attempt to unionize a nonprofit to stabilize the work environment. The Precariat essay is 7 chapters after the Nonprofit Industrial Complex essay. Yet there is no reference in the book to the similarity in themes. The book as a whole could use a super-structure which would provide a hypertext connection between essays that create synergy in understanding. The Precariat essay could also use the clarifying hand of an editor. I understood the author’s overall concept of the essay that the nonprofit management’s response was to undermine the union organizing and not address the concerns raised. Other than that I found myself lost in how the technicalities of how the work was changed, yet failed to meet these goals. A few days later, Hillary Clinton announced her candidacy for President, NOW quickly endorsed, my boss held a lovely fundraiser for NOW which included a polite critique of Clinton’s policies, and a few of us started scheming about running a spoof Presidential campaign for Condolleeza Rice. Radicals go to the root of problems, and the root cause of every issue I’ve worked on is capitalism. Non-profits don’t go there. Sometimes they talk about “corporations,” but no one will name the problem, and no one will even go near trying to address it. Non-profits deal in reform because you can’t deliver revolutions in time for foundation funding cycles. The organizations that comprise the anti-war movement are an especially sad breed because they don’t have any sense of strategy. They all operate on the notion that if there are enough protests and media stories, politicians will feel pressured to end the wars. 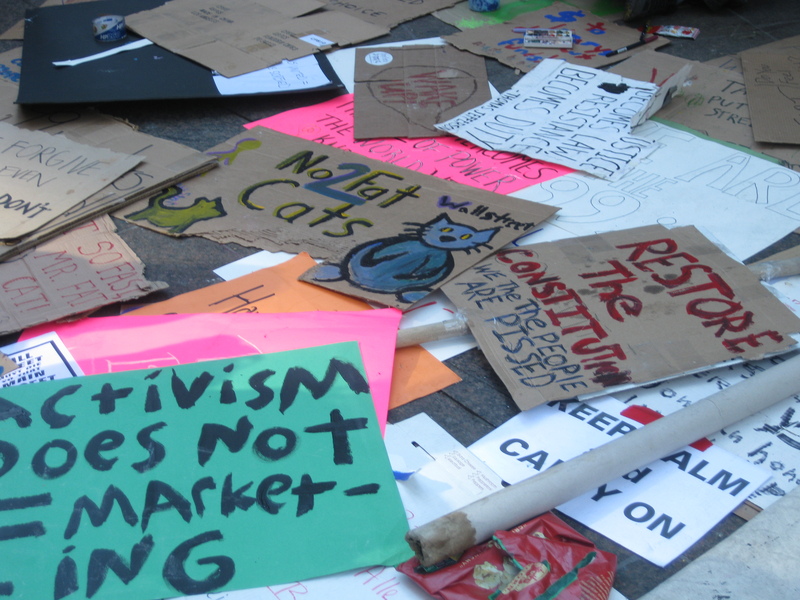 Successful activist non-profits, like many in the environmental movement, identify achievable goals, target power-holders, and develop strategies to win things that make a difference in people’s lives. 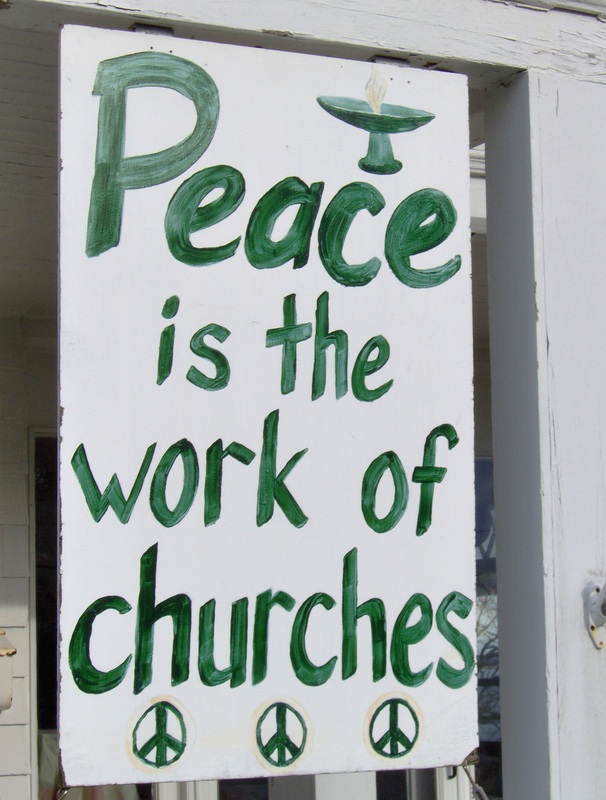 After eight years of war in Iraq and almost ten in Afghanistan, the anti-war movement has just recently started to think about strategies and campaigns to actually end the wars. In fact, the real reason for the anti-war movement’s failure was a meeting in the center of Washington DC’s lobbying industry, K Street. In 2008, MoveOn.org met with other nominal anti-war nonprofits to shut down all anti-war activities that year to concentrate on electing Democrats. Truly activist nonprofits are rare because it is difficult for them to secure a continuous funding stream that is not dependent on bending their agenda to the will of the powerful. There are a number of essays on the world of work that I found enlightening. The essay How to Start A Worker Co-Op provides a sketch for how to create a shared alternative to a workplace that does not meet your needs. At the far end of the book, the same essayist provided a similar solution to the vicissitudes of renting in How to Build a Housing Co-Op. Returning to the world of work, the essay Get on The Lattice tries provide a solution for those who are not able to escape to a worker co-op to provide a framework for balancing life with working for someone else. An essay in the middle of the book, The Gen Y Guide to Collaborative Consumption, and one at the very end co-authored by one of the editors, 10 Ways Our World Is Becoming More Shareable both provide a catalog of organizations that provide help reaching a sharing society. This is helpful to both provide guidance and to make the concept concrete. There is overlap between these articles and too many pages in between. They belong side-by-side, and should have been edited to differentiate them. I particularly liked Stranger Dinners and Every Guest A Host: Inside A Nomad-Base, for providing a new take on sharing food and housing. Both authors share how they have, safely, opened their lives to people they have never met. In the process they have created a broader sense of community, and dismantled societal rules that block human interaction. Overall, Share or Die! gives a taste of where the vision of the http://www.shareable.net website that spawned this book of essays is coming from and the better world it envisions. The website continues the conversation and developing the vision by providing even more resources and stories about how to live in a world where we all share. We are the lamest generation!